With the growing number of specialized memory care living facilities, there’s been an ongoing need for new methods of keeping residents healthy. Because of the growing and diverse number of memory care seniors, normal memory care treatments may not be as effective on some of them. Some might not comply with counseling or may need more than just occupational therapy. If they aren’t able to adapt to the normal methods of memory care living, they’re likely to have bouts of confusion and agitated-related outbursts. However, several studies shown that newer, alternative methods of memory care could be beneficial for seniors with Alzheimer’s and other memory issues. These methods include meditation, yoga, and other new age practices. Each of them have been proven by several accredited sources of research. Dr. Kris Rhoads of the University of Washington’s Memory and Brain Wellness Center has been developing new methods to help seniors who struggle with memory issues. One of his new methods is using mindfulness meditation. Mindfulness meditation involves a daily twenty minute session that focuses on the present situation and one’s own self-purpose (while removing any thoughts of self-judgement). These sessions help create a sense of openness and curiosity about the here and now for seniors. This form of meditation helps memory care living seniors in a variety of ways. For one thing, it can help build mental fortitude and help cope with the frustrations and anxiety that form from present memory care problems. This is done by reminding seniors of their environment and behavior at all times. In a sense, it’s making them accept what they are now. For example, these meditation sessions help seniors think less of “I used to do this but now I can’t!” and think more of “I know I am right now, and that’s fine.”. The way this treatment is implemented is through caregivers. 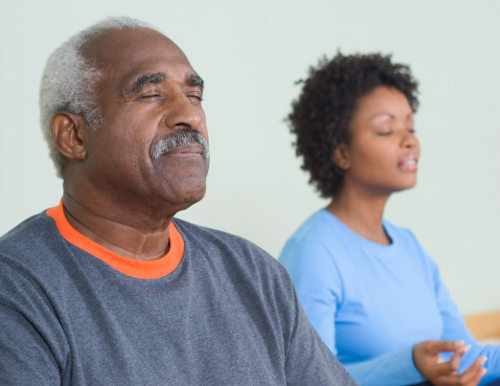 Caregivers can go through a course of several meditation seminars to learn how to teach their residents about mindfulness meditation. Caregivers who have utilized this new method (through a UCLA study) have discovered that there’s been a decrease in cellular aging, better overall health, and more resilience to memory problems/disorders in their senior residents. While this method of rewiring, rethinking, and reevaluating through meditation is highly effective, Dr. Rhoads mentions that it (and other methods out there) isn’t a one-size-fits-all miracle treatment for seniors. It should be done in conjunction with other memory care living treatments. 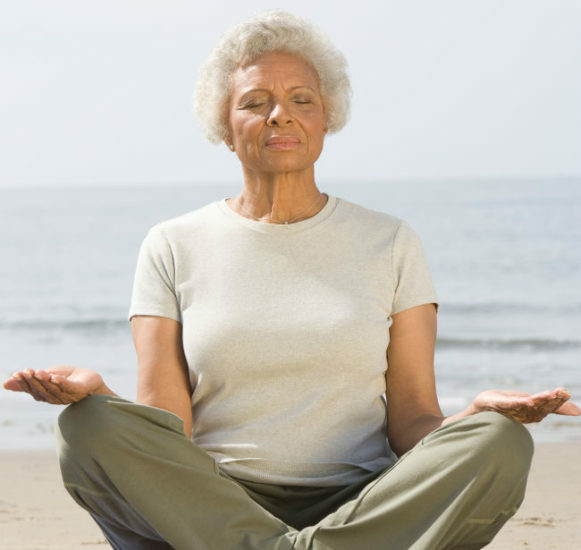 Still, helping seniors through meditation can be a strong factor in their daily lives. 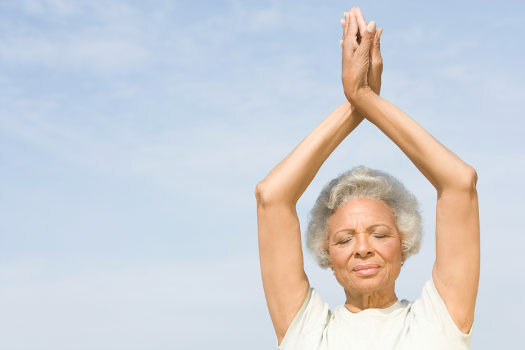 Recently, yoga has been commonly seen in many senior living communities everywhere. This includes a number of memory care living facilities. Still, some seniors have their doubts about the benefits of yoga. However, they shouldn’t, especially if they’re undergoing the challenges of memory issues like Alzheimer’s. Aside for providing inner peace and more flexibility in seniors, yoga can help ease the emotional and cognitive affects that memory issues bring (according to another study from UCLA). This three-month study, compared the outcomes of seniors who took yoga to those who took traditional forms of memory care (such as using puzzles and specialized computer programs). The study showed that all participants showed positive changes in not only behavior, but brain activity. However, those took Kundalini yoga (an yoga from India made to to prevent cognitive decline in seniors) showed better outcomes when it came to remembering items, recalling locations, and getting around. In addition, the yoga group recalled being less depressed, anxious, and stressed. The study then studied the brain activity of each group and found out the yoga group’s brain activity was much higher. Many senior living communities (including memory care living ones) are making yoga and meditation a necessity. Because of this, they are are hiring more yoga and meditation experts. Some communities hire an experienced individual to come in and teach seniors, while others send their staff away to learn these techniques. That way they’ll be able to teach their residents at their own pace. 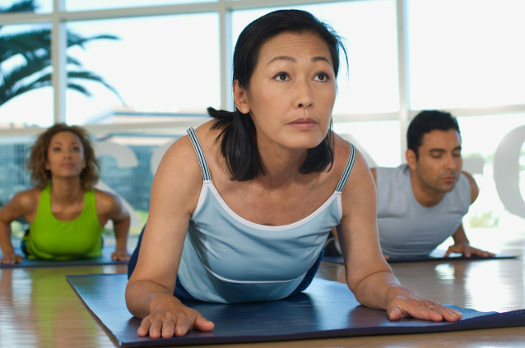 Concerning yoga, there are many styles out there that benefit seniors. Consider the following styles of yoga you might see in your community. Hatha Yoga– Any style of yoga that teaches physical posture. It teaches you the very basics and foundation of yoga. Restorative Yoga – Restorative style of yoga that mainly focuses on passive poses to help relax a senior’s body. Chair Yoga – This style of yoga is for people who may not be able to stand for long periods of time (like most seniors). Poses are modified using a chair for support. Water Yoga – A style of yoga that takes place in the pool instead of a mat. A very preferred style of yoga for seniors due to its low-impact style and helps relieve joint pains. There are also a variety of meditations for seniors with memory care issues. Kundalini not only focuses on yoga but also benefits seniors with meditation practices. This method helps seniors think and remember more clearly. Another form of meditation for seniors is Qi Gong, which is a Chinese form of meditation. This meditation that helps seniors relax and ease off stress, which is necessary for those in memory care living. Meditation and yoga are great additions to seniors that are undergoing treatment in memory care living facilities and communities. While they may not be the end-all-be-all treatment for seniors, they do bring great results in the long run.